Welcome to the website of Singapore Dakshina Bharatha Brahmana Sabha. 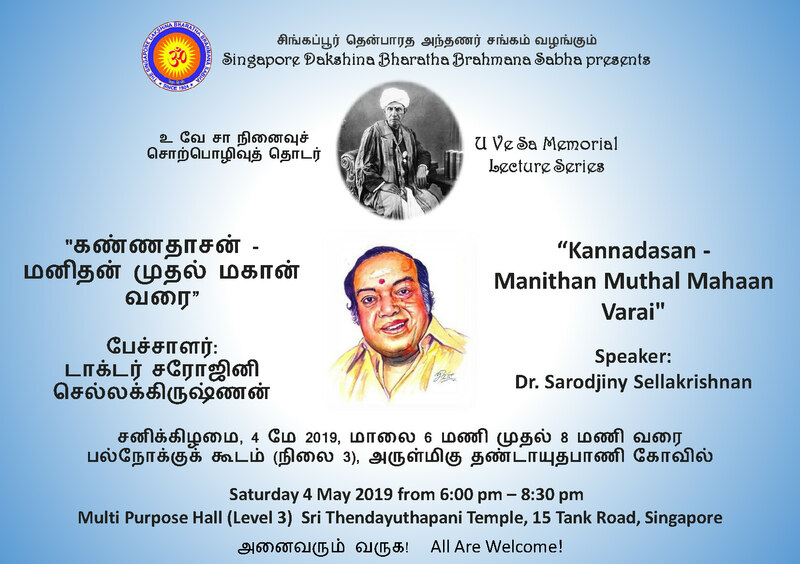 Founded in 1924, for the last 90 years and counting, the Sabha serves as a platform to fulfil the religious and cultural needs of the Brahmins living in Singapore and for the members to interact socially. We welcome you to explore this website and get information on the Sabha. Remember to follow us on Facebook and Twitter to learn more about our activities. We also welcome you to join in as a member of the Sabha.